Flooring need not be boring. Designs and borders can be cut to your requirements from any of the products available in the Forbo ranges. 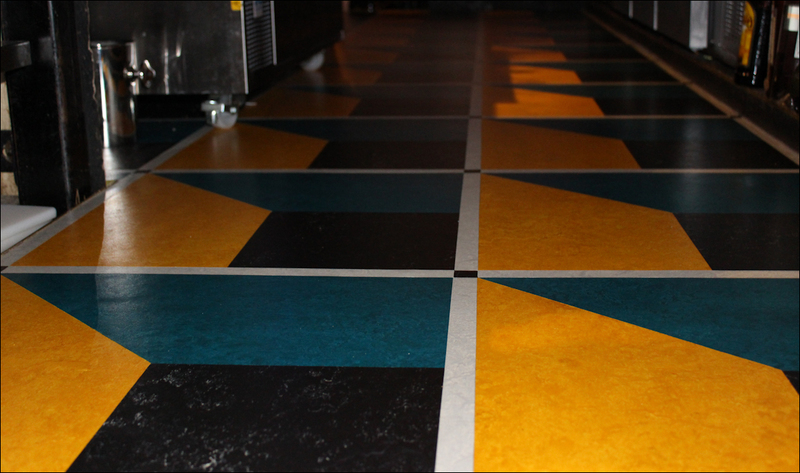 This gives the ability to mix and match colours and ranges meaning you can create a floor that will floor all others. Please visit our album of previous bespoke design work. Our team have the skills and industry knowledge from working with the best materials there are, routinely working with Forbo, Marmoleum, Amtico and other leading brands of vinyl and linoleum. From uplifting old coverings, preparation, levelling and the final join to the wall, we use the best technology and materials available.